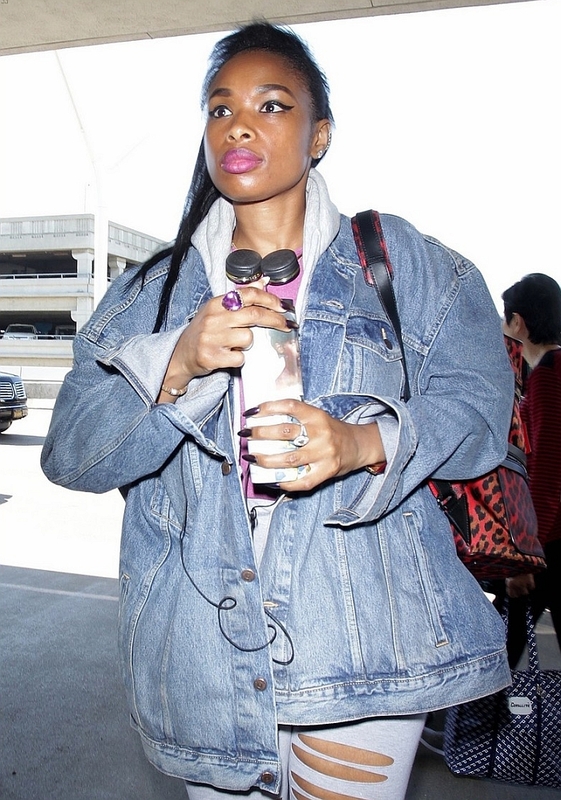 Jennifer Hudson was at the LAX, wearing an oversized denim jacket paired with ripped white leggings and a bold pink t-shirt. As we all know, it can be pretty freezing in an airplane, so a trendy denim jacket is the way to go! Not sure, though, how Jennifer manages with those ripped leggings! At any rate, Jennifer looked very edgy and cool in her outfit, especially since she added a matching very bright pink lipstick, quite attention calling! We already pointed out in some of our previous posts that the rave now is oversized denim jackets instead of the cropped and fitted ones from seasons before. 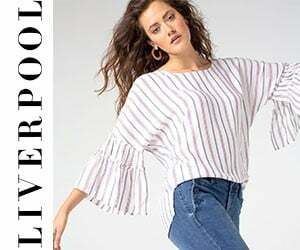 You can either opt for men’s trucker denim jackets, like Levi’s or G-Star, or buy the women’s really oversized ones from Alexander Wang, Topshop, and Joe’s.